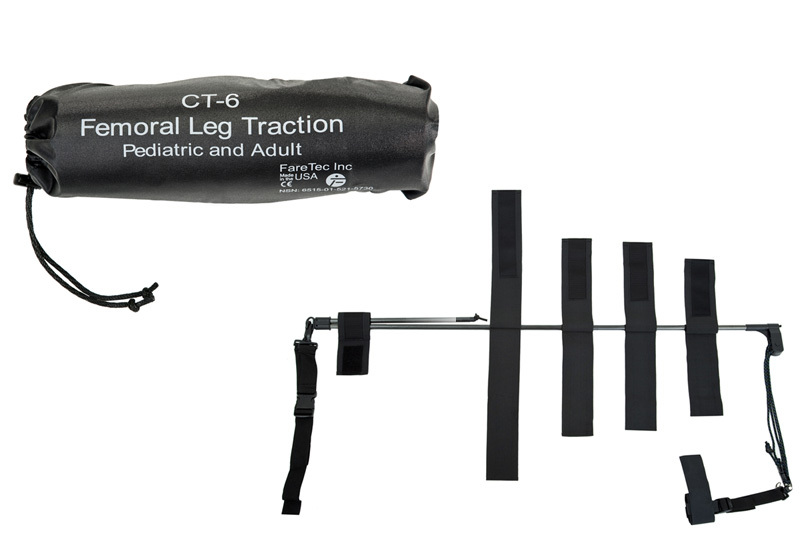 The CT-6 Carbon Traction Leg Splint now has a new, wider ischial strap for increased patient comfort and a new swivel unit for increased strength and minimal unit extrusion. The 4:1 Pulley Traction System makes micro adjustments easy. The CT-6 also includes a built in cleat to hold tension and allows for sufficient traction on the largest of patients. Includes everything you need for complete traction on pediatrics or adults.